Portrait of a Buddhist (264) January 1960 canvas 84 x 68 in. Photo taken from the Edinburgh Festival website. 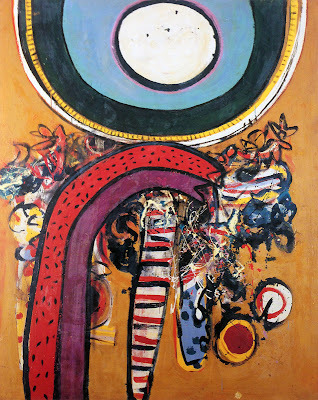 Blue bubble (201) 1957 masonite 60 x 78 in. 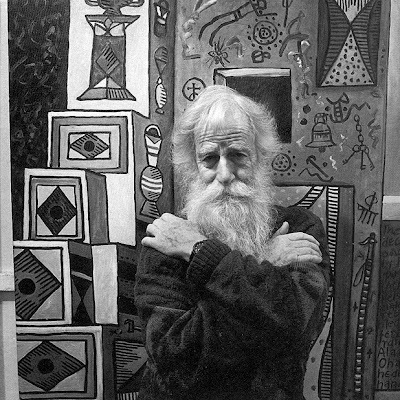 Alan Davie at work in his studio in the 1950s. Photo: copyright of the artist. Image of the fish god No. 2 (136) 1956 board 60 x 48 in. 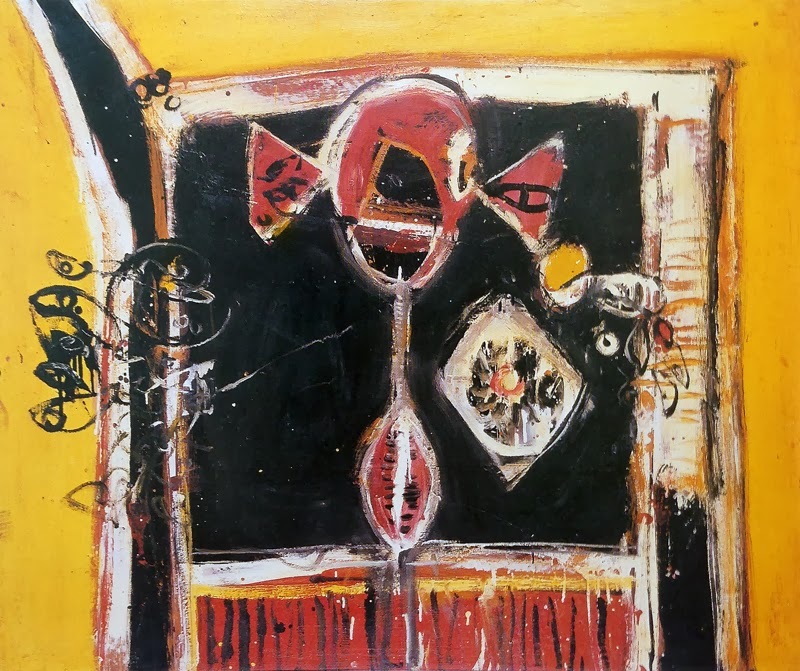 Fetish with yellow background (106) 1954 masonite 40 x 48 in. 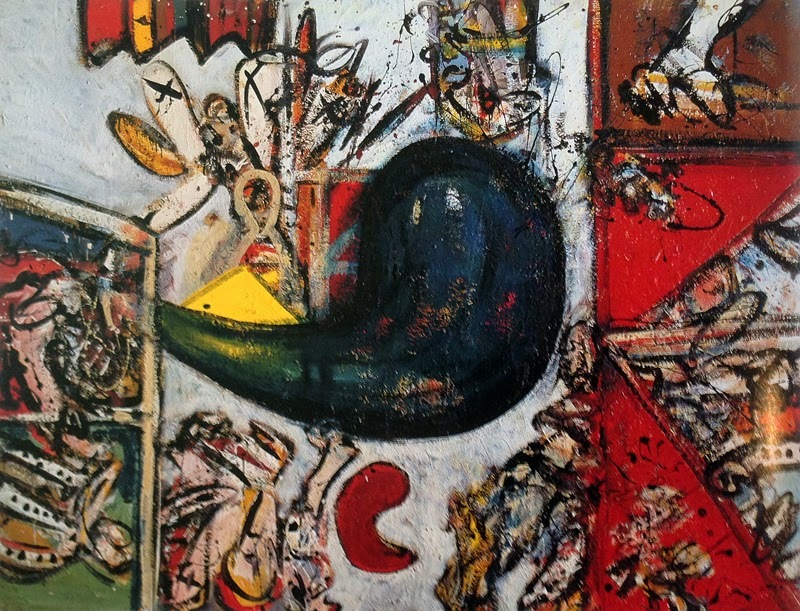 Altarpiece for Kali (298) July 1960 canvas 72 x 96 in. 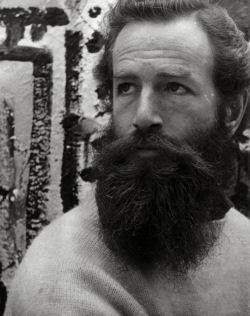 He was born in Grangemouth and studied at Edinburgh College of Art in the late 1930s. An early exhibition of his work came through the Society of Scottish Artists. He also has a great love for Cornwall. After the Second World War, Davie played tenor saxophone in the highly-regarded Tommy Sampson Orchestra, which was based in Edinburgh but broadcast and toured in Europe. 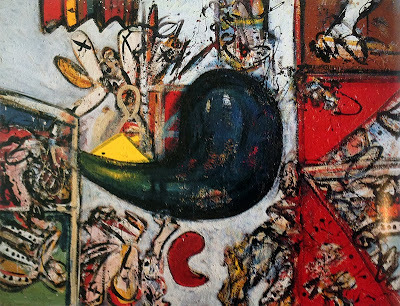 Davie travelled widely and in Venice became influenced by other painters of the period, such as Paul Klee, Jackson Pollock and Joan Miró, as well as by a wide range of cultural symbols. In particular, his painting style owes much to his affinity with Zen. Having read Eugene Herrigel's book Zen in the Art of Archery (1953) he has assimilated the spontaneity which Zen emphasises. Declaring that the spiritual path is incompatible with planning ahead, he has attempted to paint as automatically as possible, which is intended to bring forth elements of his unconscious. In this, he shares a vision with surrealist painters such as Miro, and he has also been fascinated by the work of seminal psychoanalyst Carl Jung. 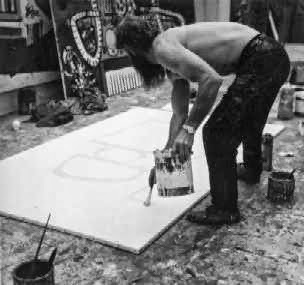 Like Pollock, many of Davie's works have been executed by standing above the painting, which is laid on the ground. He adds layers of paint until sometimes the original painting has been covered over many times. 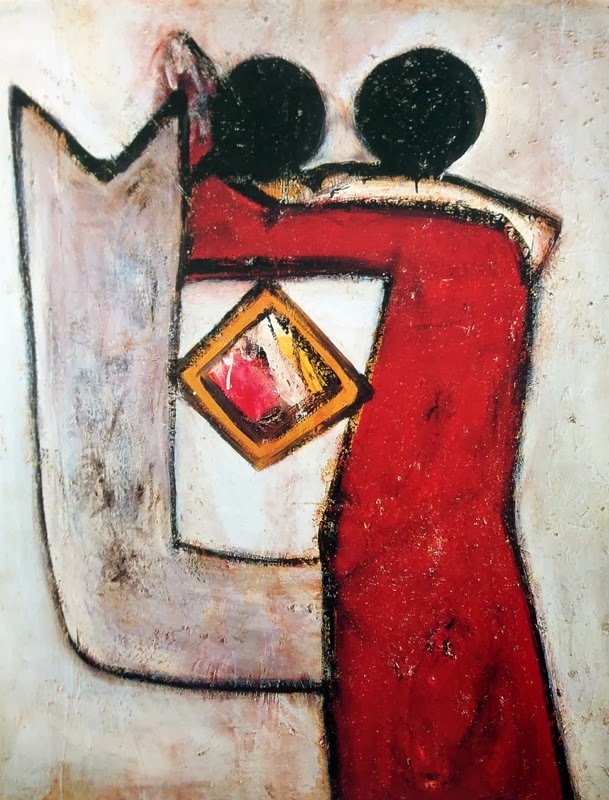 However, despite the speed at which he works (he has usually had several paintings on the go at once), he is adamant that his images are not pure abstraction, but all have significance as symbols. As well as painting, whether on canvas or paper (he has stated that he prefers to work on paper), Davie has recently produced several screenprints. 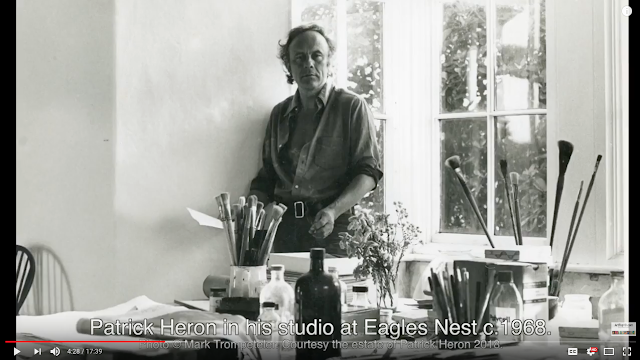 He found a public for his work on the continent and in America some time before the British art public could reconcile itself to his mixture of ancient and newly invented of symbols and his explosive brushwork. 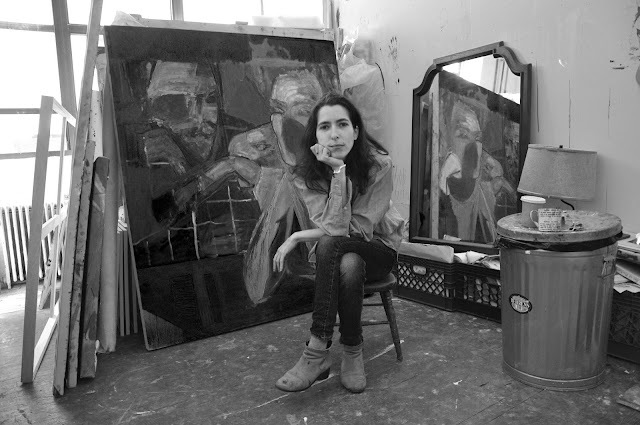 His paintings appear at once apocalyptic and triumphant. In his lectures Davie stressed the importance of improvisation as his chosen method. His stance was that of an inspired soothsayer resisting the inroads of rational civilization. Davie is currently working on a 40-metre watercolour he calls his great masterpiece. He has sworn that it will be complete before he dies.